"We pride ourselves on the craft beer we make and having a positive impact on the communities we're a part of." 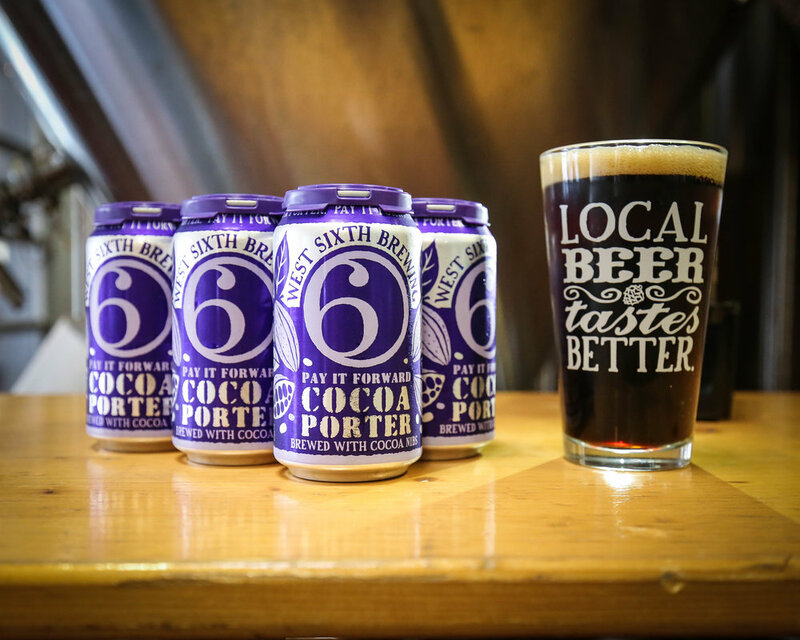 We support the direct work of non-profits through our Pay it Forward Cocoa Porter, Sixth for a Cause, Wooden Nickel, Pedaling for a Purpose, and sponsoring events we believe in. We are environmentally conscious in everything that we do and we strive to be an awesome place to work. This program is the embodiment of our commitment to give back to the communities we are a part of. Through programs like Pay it Forward, Wooden Nickel, and monthly events where we give back 6% of the days sales to a non-profit, we are all able to share in doing good while drinking beer! For every six-pack of this beer sold, we give 50 cents to a non-profit that our staff has democratically voted on. We gather nominations here from our five different sales region, that way the money goes back to folks doing good stuff in the region where you bought your six-pack. 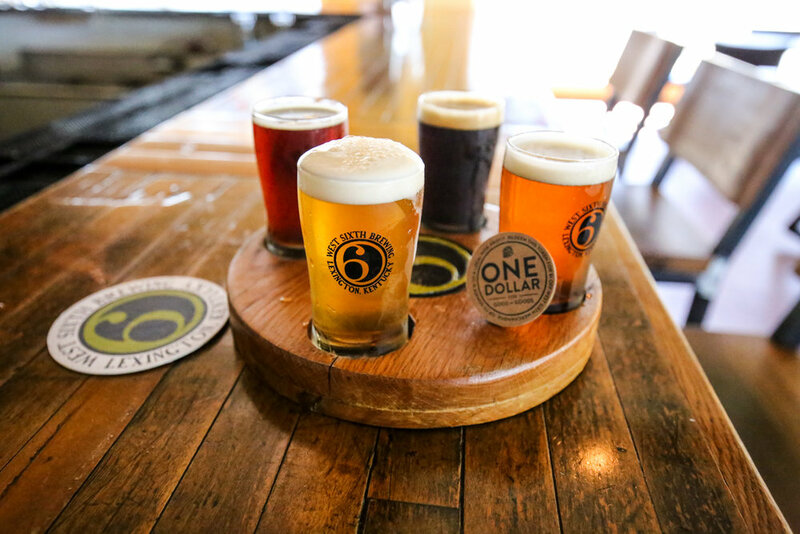 Every time you buy a flight in one of our taprooms, you are presented with a Wooden Nickel that gives you the opportunity to give $1 to a local non-profit or use it for $1 off merchandise. The non-profit is different each month, This is just one of the many ways you can drink good beer and do good things. This community is our livelihood; without the camaraderie that has developed over the years, West Sixth would be just another brewery. It all started here! Some of our regulars have been running since day one in 2012, and we are all family now. Meeting every Tuesday night from 5:30-7pm, it is free and open to everyone. Come on by and sign up, run/walk one of the fe routes we have made up and come back to West Sixth for a free pretzel. There are prizes for completing 5, 25, 50, and 100 runs, There are many nights we have more than 300 people who run together! Join the facebook page here. This lecture series happens once per month on Mondays. A local science expert gives a talk on anything science related, while you get to enjoy and have a cold brew. 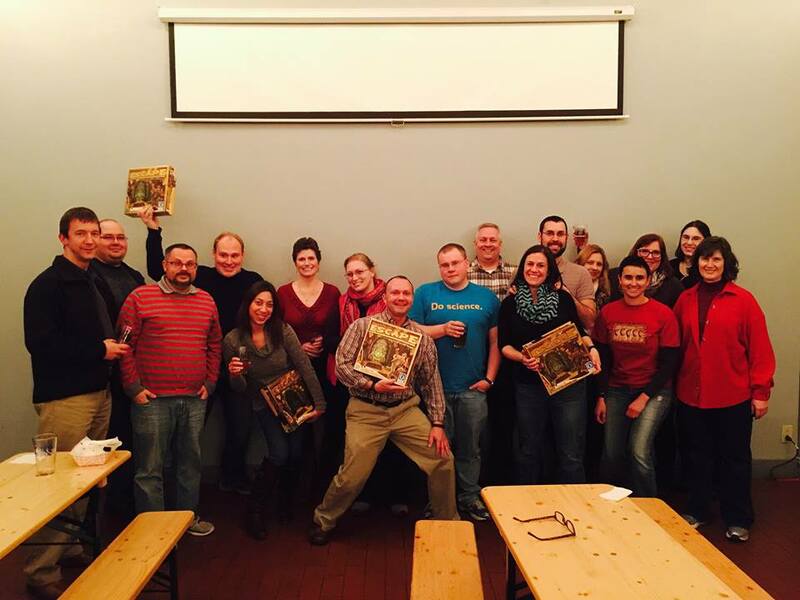 This is one of our most unique gatherings - we love to learn while drinking! Follow the Facebook for the schedule. West Sixth Yoga started with AnneDean Dotson, a local yoga extraordinaire, who came to us with the idea of community yoga here every Wednesday at 6pm. These days, a variety of local yoga teachers teach the class that is donation friendly. The room fills fast, so if you want to join, be sure and come early! Join the facebook page here. Hosted by our friends who organize the LexiCon gaming convention, Game night occurs on the first and third Monday of every month. Join us and have a pint while playing a fun game with great folks! All skill levels and experience welcome, bring your own game or there are always a ton at the brewery. Good times! Follow along on all the fun here. We love our Lexington biking community, and so we partnered with the Bluegrass Cycling Club to create rides that mean something. Every mile you ride gives $.20 to a good cause. It runs seasonally on Saturday mornings. 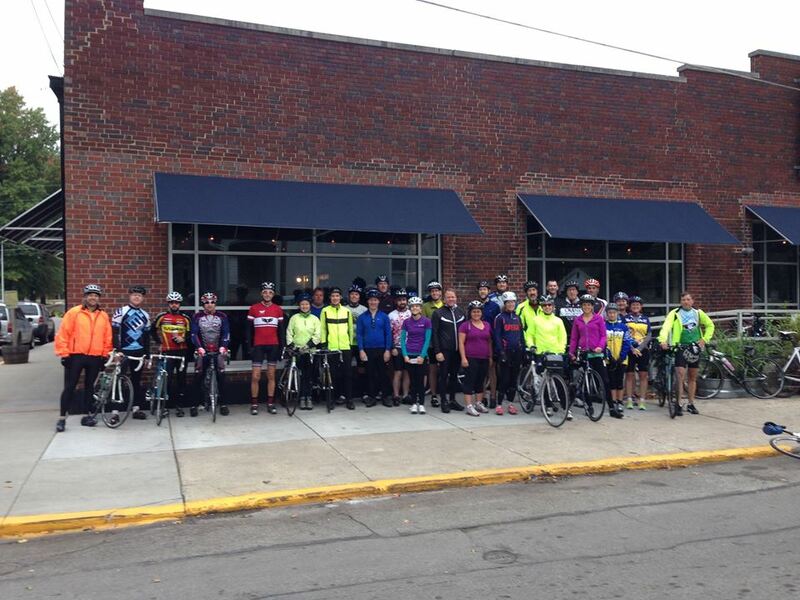 As they say: "We don't care if you wear spandex or skinny jeans just get out and ride!" Ride dates change often - Join the facebook page here. We are so proud of our team here at West Sixth Brewing. Work culture means a lot of hard work, laughing, hanging out at other local joints, eating a ton of good food and drinking good beer together. Please always say 'hello' if you see us out and about, we love hearing from you.